Movie reviews for Mars Attacks! My review is purely based on the intent of the genre - comic sci-fi. Had it been a regular movie, the rating would have been quite a bit lower. 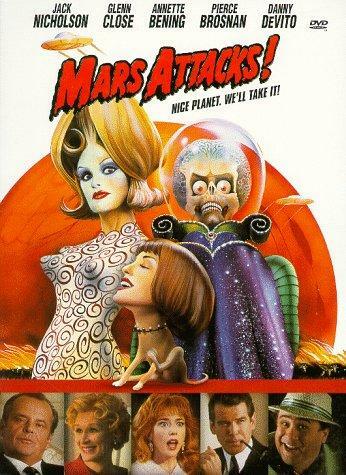 For it's time, this movie was really hilarious and even though it is severely low-tech it still brings the message across the screen - Mars Attacks! One of the cool elements for the movie, is all the celebrities that have been crammed into every available role. I will be they had a lot of dun making this movie.